In the last few weeks we’ve spoken to you a lot about the importance of using sites like Stumble Upon, Digg and Delicious to get the word out about your web content. Digg is one of the most popular of these sites – in fact there are estimated to be 400 million users on the site and this figure if forever growing. So what does this mean for you? Well, if you add your content to Digg you have an extra 400 million people that could technically find your website. What Type of Sites Does Digg Benefit? Digg is a social media website and it works by people viewing content and then “digging” it if they think it’s cool. This is almost like the Facebook share button and it is possible for your content to go viral if you are sharing what the Digg users like. Unfortunately this doesn’t mean that every site will benefit. If for example you are purely sharing content that is trying to sell something, you are unlikely to impress anyone. The majority of the users on Digg are there to browse through interesting webpages; they are not there to buy something. Therefore the best content to share on this site is contact that grabs the reader, tells them something new and doesn’t sell them something. We should say here, that you are unlikely to receive much targeted traffic through Digg unless you somehow manage to get your webpages advertised on the first page. However, this doesn’t mean Digg has no benefits. Digg is a great way to get people interested in your website and if a user likes what you have to say they may subscribe or “follow” you on other social media sites such as Twitter and Facebook. In addition, it has been known for people to write blog articles that get shared extensively which not only increases your traffic but also your number of backlinks – it’s win win! If you want to know how the whole Digg process works your best option is to sign up to the site and use it yourself. You can then manually add links to webpages that you want to share. By joining in on the site you can get a hang of how things work; this is the best way to really benefit. In addition to this you should also add a Digg social media button to your webpages – this is a great way for your website readers to also share the content that they like. 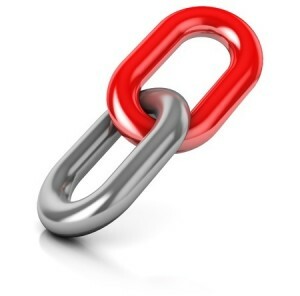 We at Pingler have a Digg Links Checker Tool that is free for you to use. All you need to do is enter the web address of your webpage and we will let you know how many links you currently have on the Digg social media site. By using this tool you can see how well your strategy is working on the site and then adapt your strategy accordingly. With so many benefits, there really is no reason why you should not utilise the Digg social media site to your advantage. This is really a gr8 to have pingler.com to check the digg links. I have started using it.